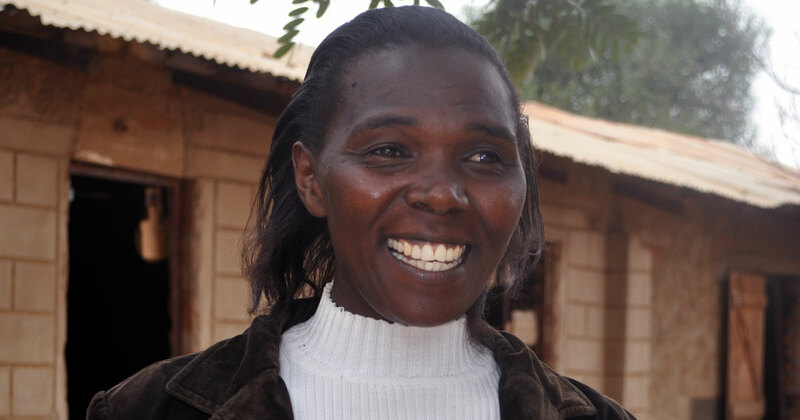 Damaris is a teacher from Mwala in Kenya. "Our area is affected by poverty and the children are at risk of being abused. In the past we witnessed a large number of pupils taking part in child labour while our girls would drop out of school due to pregnancy and child marriage. "After attending several Build Africa training sessions with my fellow teachers, we vowed to assist the children by ensuring that their parents took part in making sure that their children were protected. "We have managed to save a lot of children from child labour and even involved the government officials in ensuring this. Our school also has a strong guidance and counseling team, which listens to children's issues and looks for ways to address them. "Last year we had a case here there was a girl who frequently absented herself from school. She would lie that she was sick. But through the guidance and counseling she told us that she was living with a man because she could not get food at home. After intervention she went back home and her parent was tasked with ensuring that she looked after her. The parent was also given some work at the chief’s office to provide for her family. "Our school now has no case of early drop out and we have tremendously improved in our exams. We have received awards for good results, while all our pupils have managed to transit to secondary school."